I love this E stick! I have Arizona Territory, and it adds just a tiny bit of color with a whole lot of moisture! I will definitely buy this again. I love this so much!! I have the shade California Trail and it is the prettiest pink with an amazing blue undertone! It is so moisturizing and it still has a lot of pigment! I would recommend this to anyone! I absolutely love this Vit. 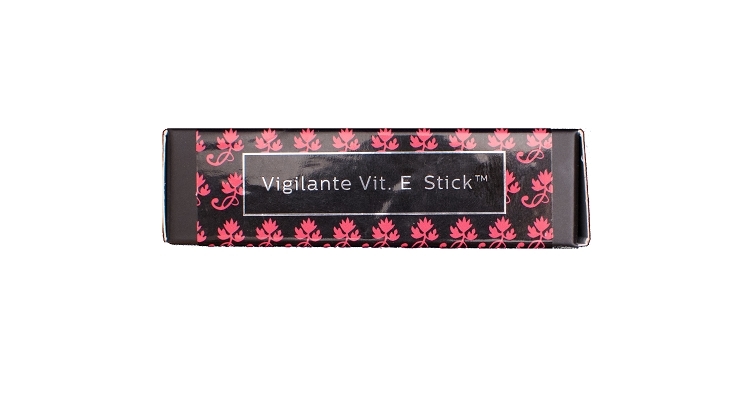 E stick. It makes my lips feel so good. I had wanted something that would moisturize and add a bit of color at the same time. This was the perfect thing for. I will be buying it again. Smooth lip treatment. The Color last for hours. Soothe your lips with these amazing ingredients! Vigilante Vit. 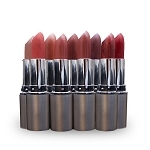 E will add an even fuller and moistened look to the already amazing properties Face West Lipsticks offer to your lips. 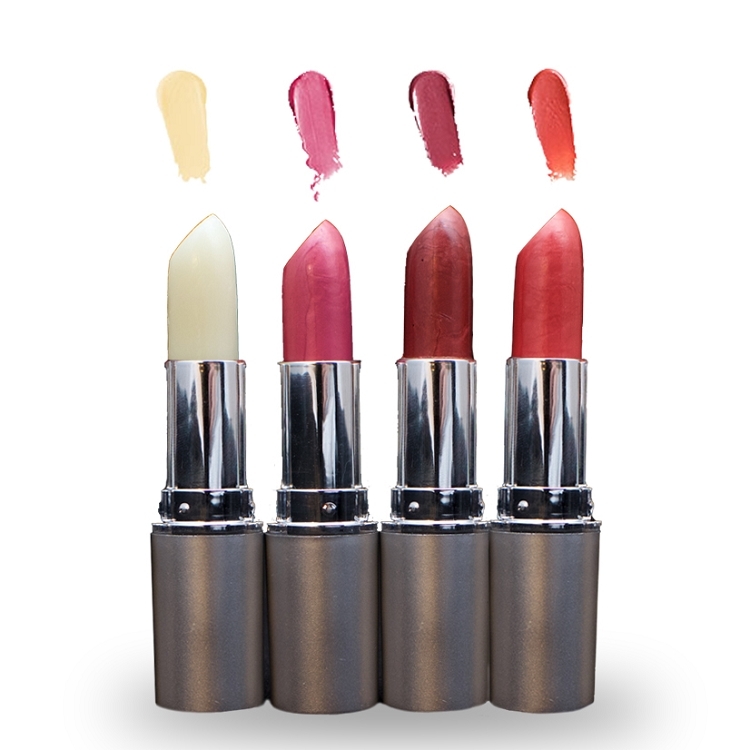 The Lone Star State clear option, when applied to your lips before Face West Lipstick application, will plump up your lips and add moisture while helping your color last all day. 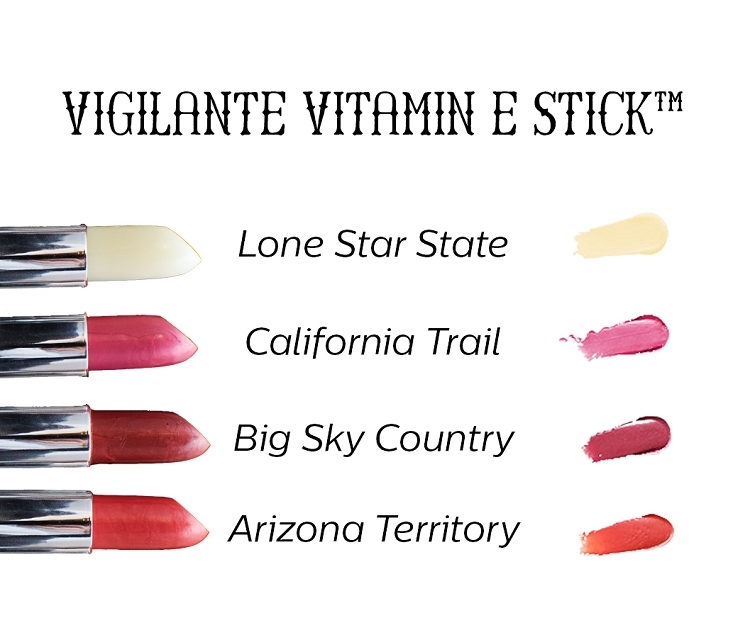 The tinted options (Big Sky Country, Arizona Territory, and California Trail) will give you all those added benefits plus even more tinting power, giving your lips the wow factor they have been looking for!